Another BlackBerry smartphone has come out of the veil, dubbed as BlackBerry Aurora. The chief talking about this device is its “made in Indonesia” label. To recall, BB Merah Putih is the company who holds the license to manufacture and sell BlackBerry smartphones in Indonesia. 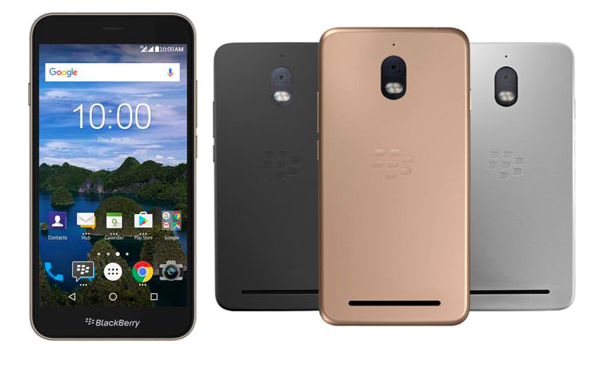 BlackBerry Aurora is the first device by BB Merah Putih and will be sold in Indonesia. Distinctly, BlackBerry already announced at the beginning of this year that it is looking for more licensing partners to enhance the availability of BlackBerry Mercury and other upcoming smartphones across the world. The company has collaborated with different partners for different regions. For India, Opteimus Infracom is the licensed partner while TCL holds the right to manufacture and market BlackBerry smartphones for most of the regions around the world. On that ground, the company forged a partnership with BB Merah Putih for Indonesia region. The BlackBerry Aurora is a dual-SIM smartphone with a 5.5-inch 720p HD display. It is powered by a 1.4GHz quad-core Qualcomm Snapdragon 425 chipset paired with 4GB of RAM. Regarding optics, the BlackBerry Aurora sports a 13MP rear camera along with an 8MP front-facing camera. It packs in 32GB of internal storage, which can be further expanded by a microSD card. For connectivity, the BlackBerry Aurora supports 4G LTE, Wi-Fi 802.11 b/g/ n, GPS, and Bluetooth 4.0. A 3000mAh battery backs the device, which is claimed by the company to last up to 30 hours on single charge. In addition, the smartphone runs Android 7.0 Nougat along with BlackBerry’s suite of high-level DTEK security applications and BlackBerry’s own messaging platform – the BlackBerry Hub. Notably, BlackBerry Aurora was already up for pre-ordering since March 3, and the company will continue taking pre-orders until March 12. The phone is priced at IDR 3,499,000 (roughly US$257.6). It will be available in Black, Silver, and Gold colour models.